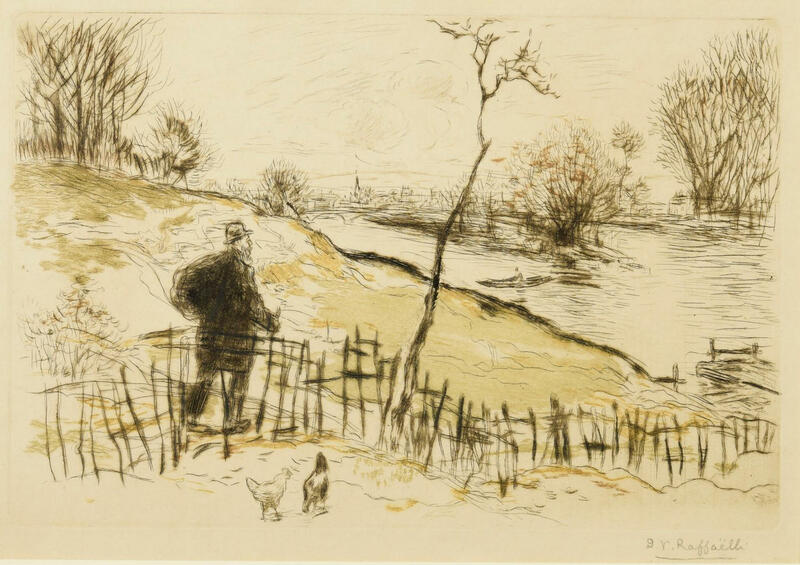 Edgar Chahine drypoint and Jean-Francois Raffaelli etching. 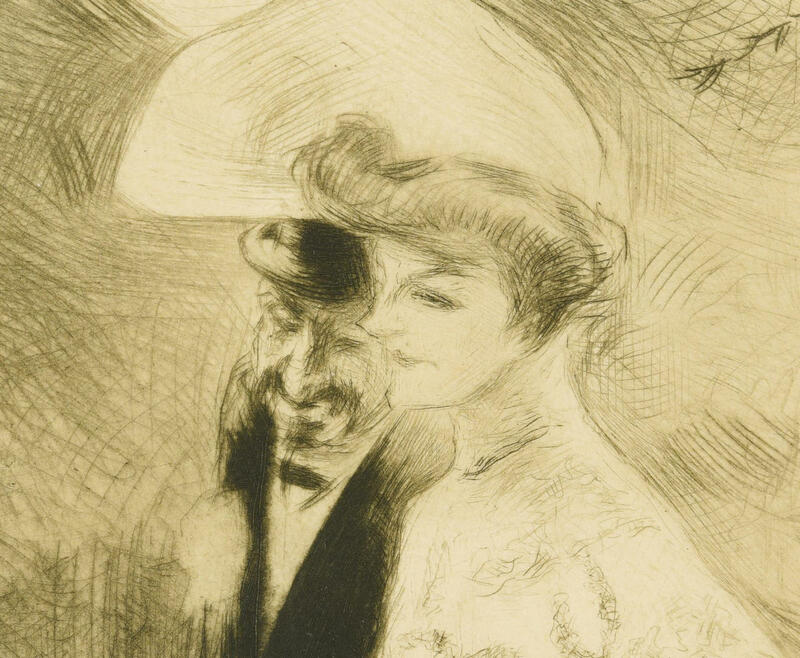 1st item: Edgar Chahine (French, 1874-1947) drypoint on laid paper titled "En Promenade", 1904, from an edition of 50. 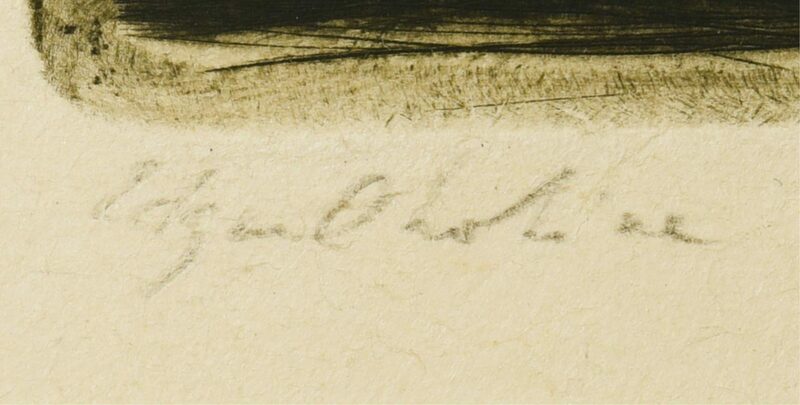 Signed "Ed. Chahine." in plate, lower right, signed "Edward Chahine" in pencil, lower left under image, titled in pencil, lower right under image. 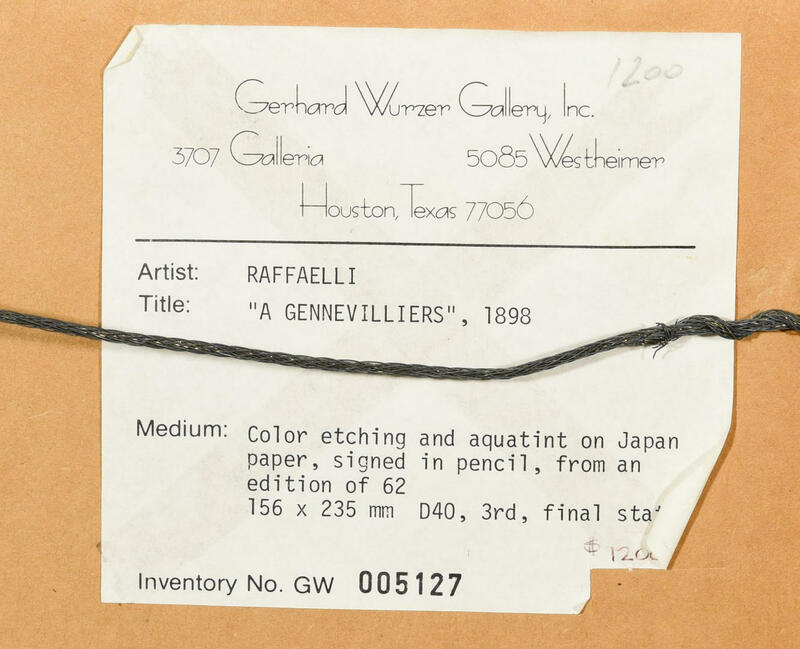 Gerhand Wurzer Gallery, Inc., Houston, TX, gallery label en verso. Housed in wooden frame painted gold on front edge. 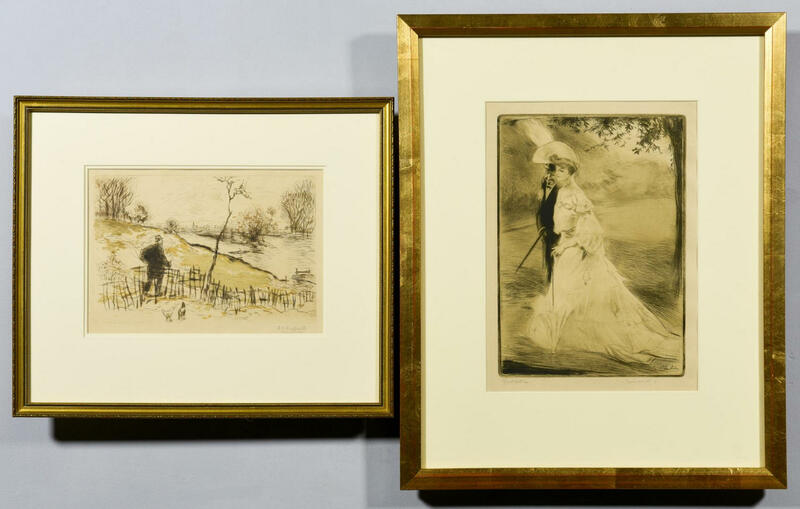 Image – 10-1/8" H x 6-7/8" W. Framed – 18-3/4" H x 15-1/8" W. 2nd item: Jean-Francois Raffaelli (French, 1850-1924) color etching and aquatint on Japan paper titled "A Grennevilliers", 1898, from an edition of 62, 3rd and final state. Signed "J.V. 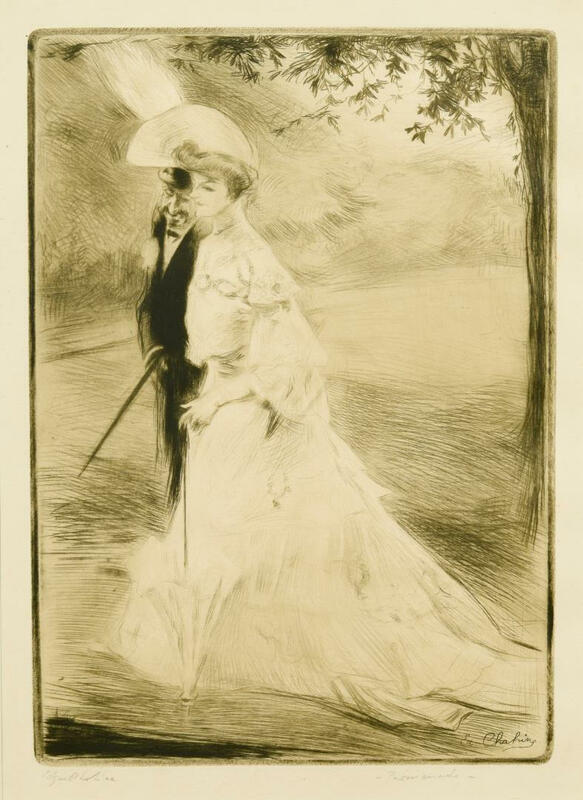 Raffaelli" in pencil, lower right under image. 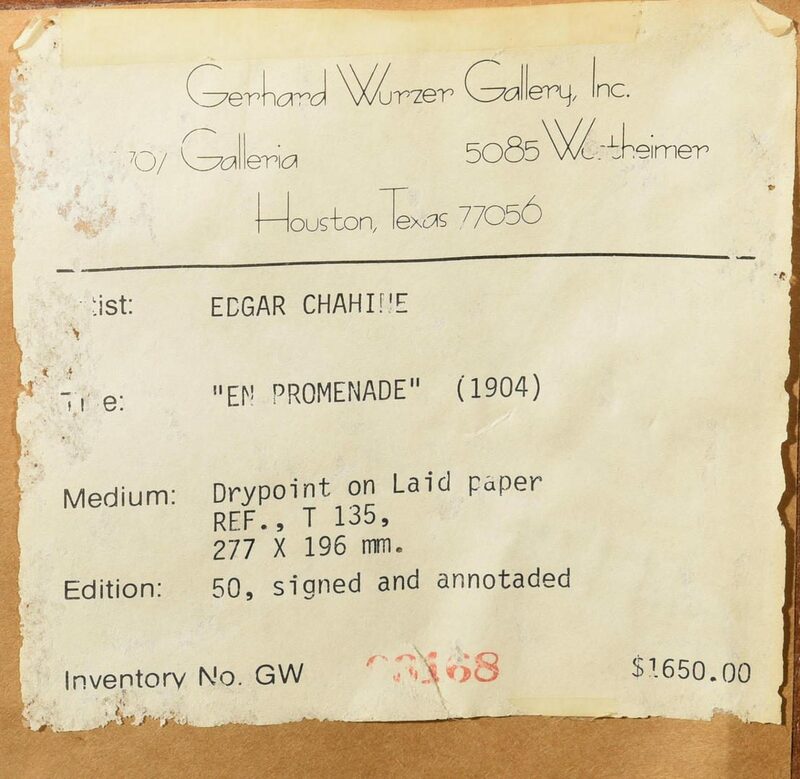 Gerhard Wurzer Gallery, Inc., Houston, TX, gallery stamp en verso. Housed in a gilt wooden frame. 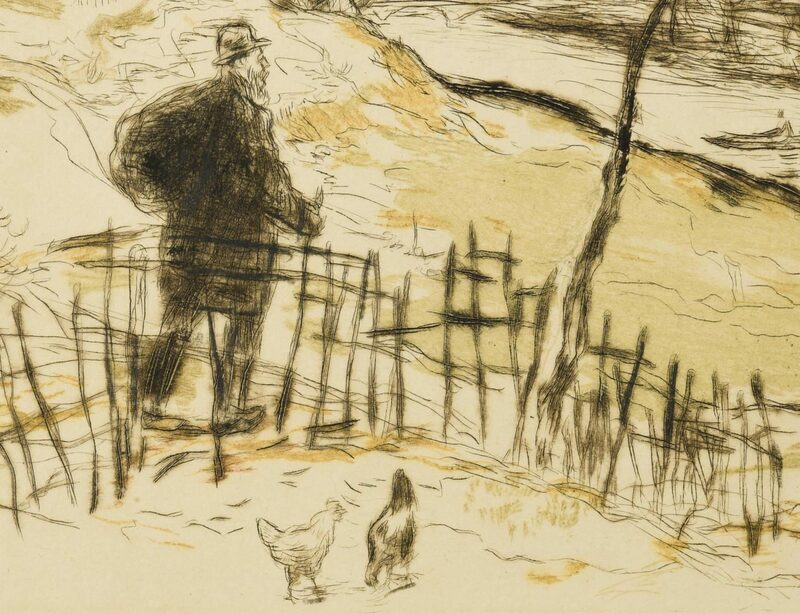 Image – 5-3/8" H x 8-3/8" W. Framed – 12-1/2" H x 15" W. CONDITION: Drypoint and etching in excellent condition.